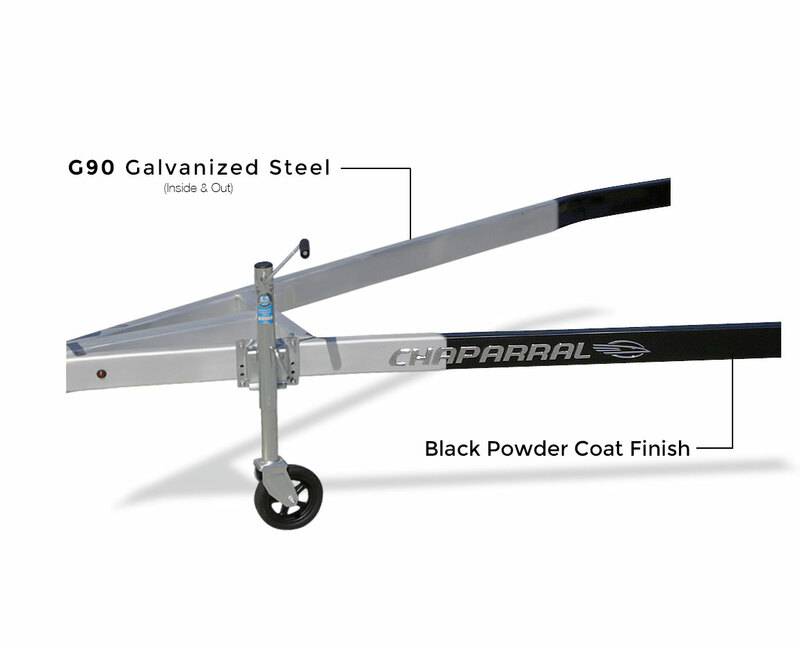 Getting to the water has never been easier than with Chaparral’s factory-matched trailers. 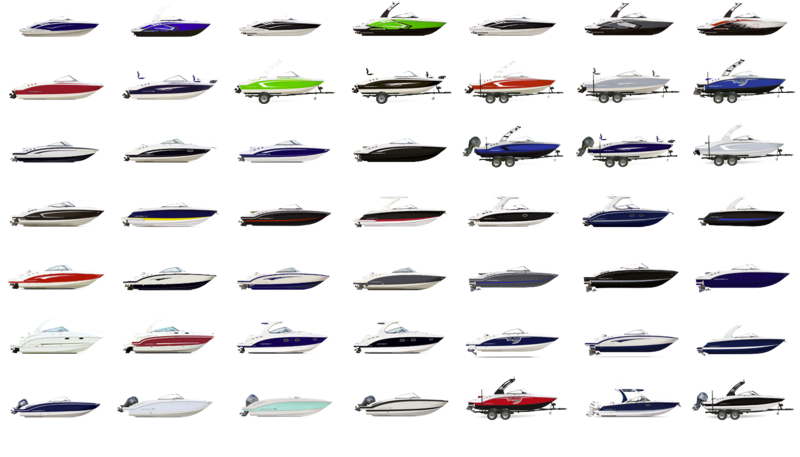 Featuring the same level of quality you’ve come to expect in your Chaparral, our trailers are engineered specifically to fit each model they accompany and include a number of helpful features including submersible LED lights, swing-away tongues (standard on many models), and galvanized wheels. 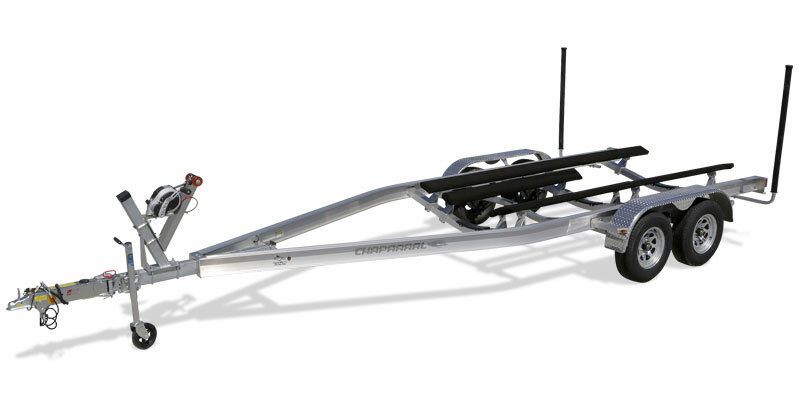 Chaparral’s factory-matched trailers are also available with optional spare tire kits and upgraded Aluminum Wheels. Our Factory-Matched trailers are constructed using steel that is G90 galvanized inside and out and all wiring is run internally to keep it hidden and secure. 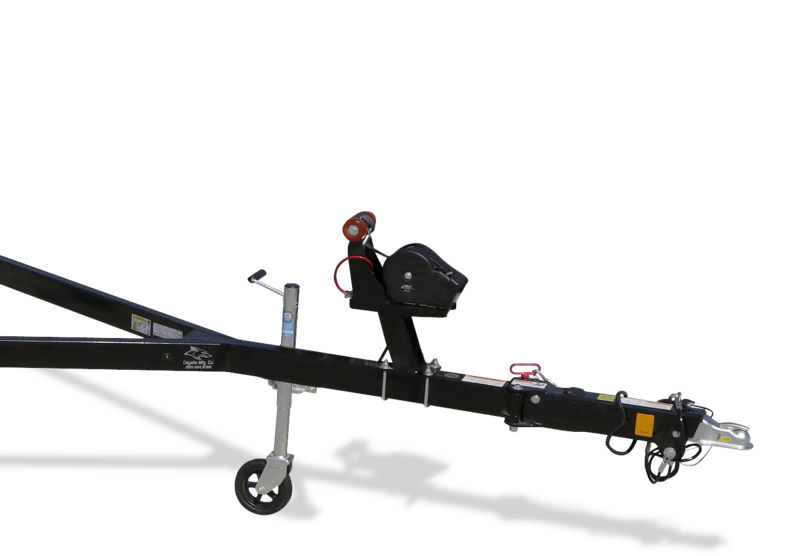 The black powder coat finish not only ensures that your trailer will look great for years to come but adds an additional layer of protection against the elements. Get the most out of your garage space while storing your boat with the swing away tongue feature (Available on most models). Simply pull a pin and the trailer tongue stores behind the bow of the boat to ensure you are able to keep your prized possession safe and secure. 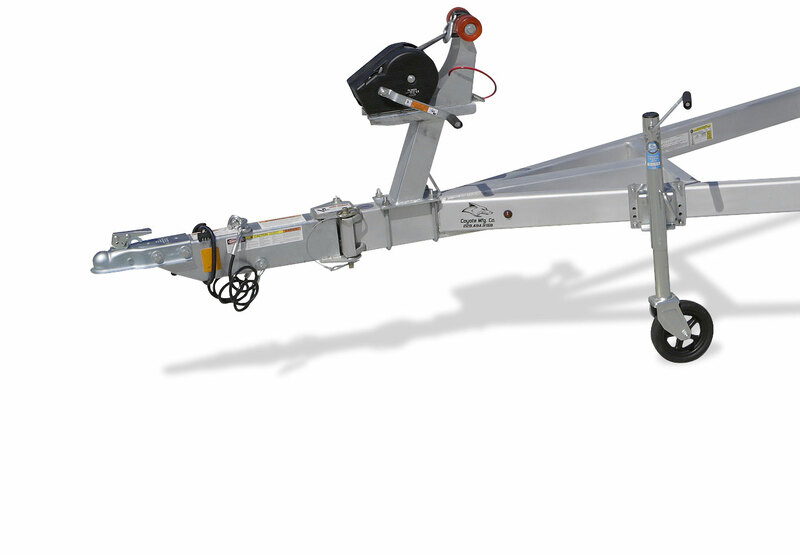 Our Upgraded Aluminum Factory-Matched trailers are specially designed to include a thicker I-Beam (5/16”) for added strength and engineered tracks to keep wiring and break lines hidden and secure. 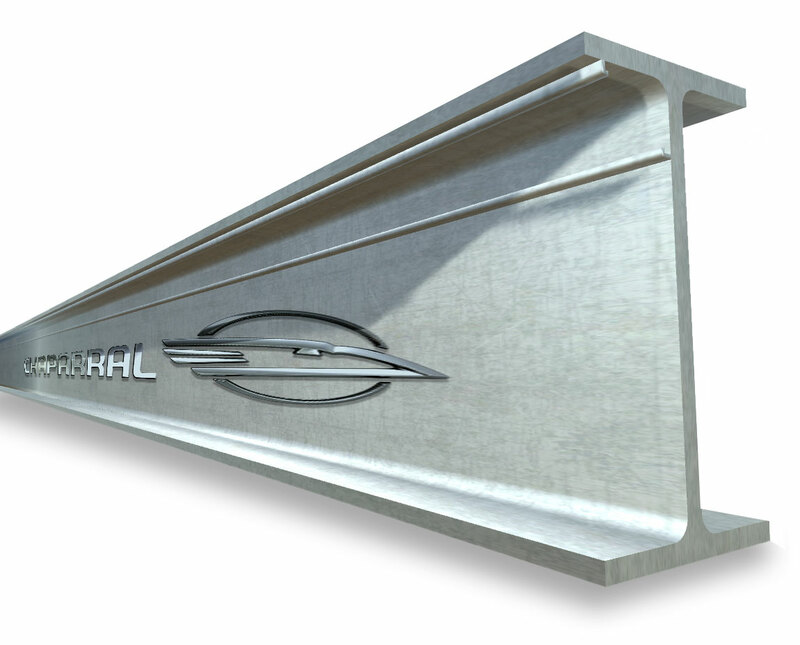 Other manufacturer’s trailers are constructed using I-Beams as thin as 3/16”, which can bow under the weight of the boat and have exposed wiring. 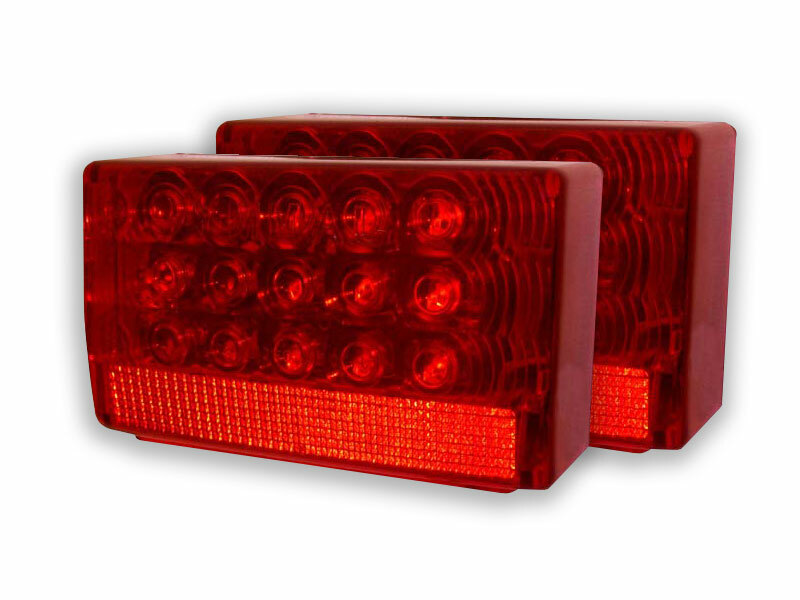 All of our trailers feature truly submersible LED lighting. No more blown bulbs to replace. The wiring harnesses are coated and loom wrapped to make sure lighting malfunctions are a thing of the past. 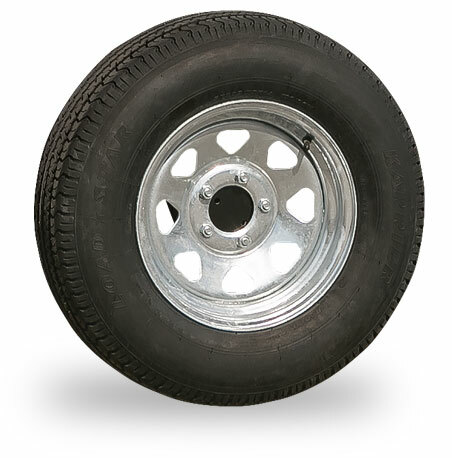 Our Factory-Matched Trailers come standard with galvanized wheels. 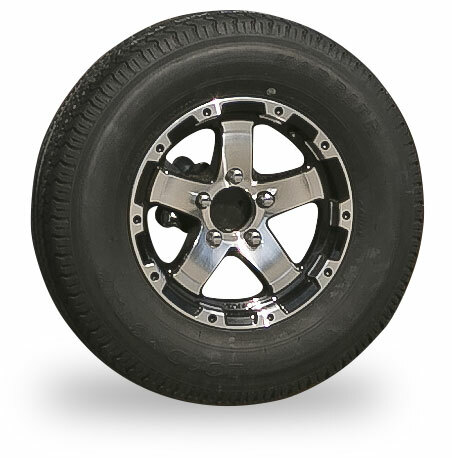 Upgrade your trailer to include our optional premium Aluminum Wheels.